KEN, YOU MOVED TO THE 450 CLASS WITHOUT EVER POINTING OUT OF THE 250 EAST/WEST SERIES, RIGHT? I have always switched early to the bigger classes. I have never been the kind of person who stayed in a lower class—even though I could—for too long, because I always wanted to move up and just get to the very top, like the 450 class, and try my best here. YOUR FIRST YEAR IN 450 SUPERCROSS YOU HAD TWO WINS AND A BUNCH OF PODIUMS. My first 450 Supercross season was pretty good. I won Anaheim 1, which was my first legit 450 race. I think I might have actually finished second or third overall in the series. THEN YOU IMMEDIATELY WENT OUT AND WON THE 2014 AMA 450 OUTDOOR NATIONAL CHAMPIONSHIP. Yes, absolutely. It was great, but it came easier than Supercross, because I have more experience with motocross. Still, to this day, it’s that way. Motocross is what I have trained for my whole life. 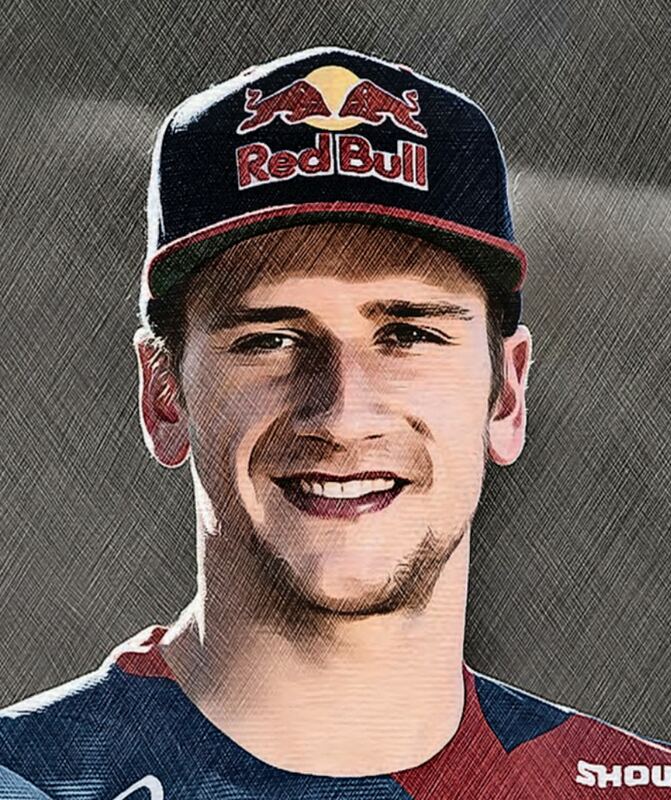 WAS IT HARD TO RACE FOR THE KTM TEAM WHERE RYAN DUNGEY WAS THE STAR RIDER ON THE TEAM? No. I did not struggle with it. I think he struggled a little bit, because I had just come up from the 250 class. He was the number-one rider on the team, so I’m guessing it was harder for him to deal with me than me with him. I had nothing to lose and just rode the best I could. My personality is a bit more relaxed and carefree, while he was so serious. MOST TEAM MANAGERS DON’T BELIEVE THAT IT’S A GOOD THING TO HAVE TWO ALPHA DOGS ON THE SAME TEAM. WHAT’S YOUR TAKE? 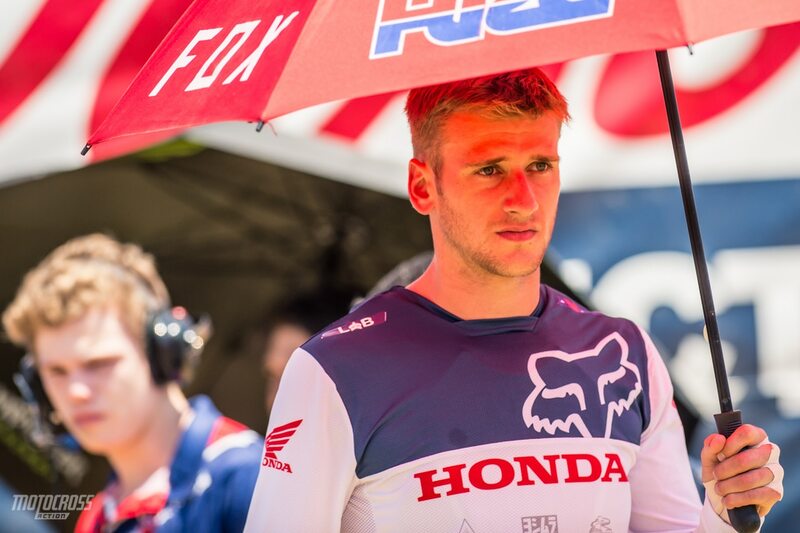 Well, I have Cole Seely as my Honda teammate. He is no slouch, and him being put on the same team with me at Honda has been a good fit. 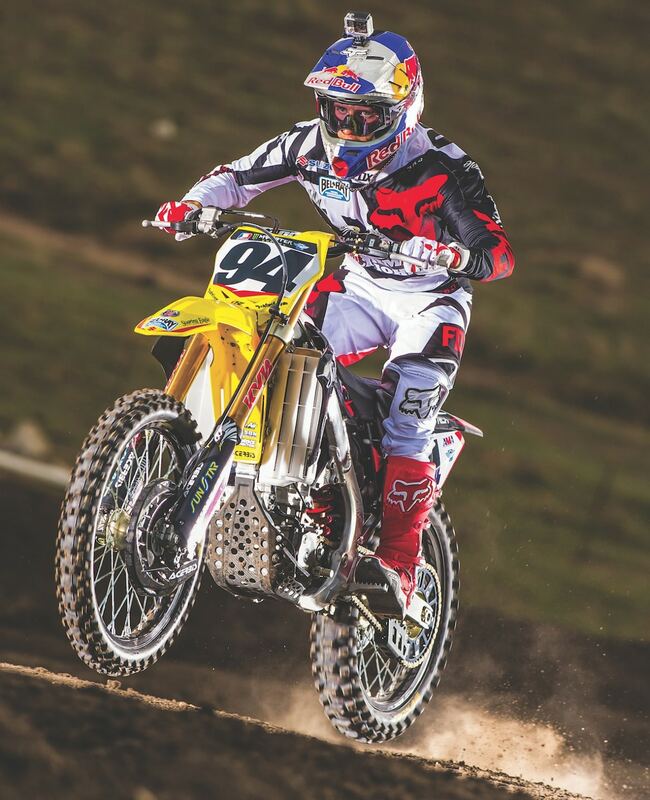 AFTER YOU WON THE 2014 AMA 450 NATIONAL CHAMPIONSHIP, WHY DID YOU CHOOSE TO LEAVE KTM FOR SUZUKI? My agent, Steve Astephen, was looking at all my opportunities, and in the end, it came down to me wanting to try something new. I was with KTM for a long time, and I felt like we went through the years of developing the older bike into the newer one. There were some struggles with that, and I really wanted to go back to Suzuki, because I had good success with them in the previous years of racing the 250 World Championships. BUT THAT FIRST YEAR AT RCH SUZUKI DIDN’T GO AS PLANNED. No, it didn’t. My first year at RCH Suzuki was not the greatest, but we never gave up, and we turned everything around in 2016. I was super happy with my 2016 bike, which was not the case in 2015. Then it just kind of took off from there and led to another championship. DID YOU, RICKY AND CAREY TALK A LOT OR HANG OUT WITH EACH OTHER? No, but having said that, I think I hung out more with Carey because we had the same agent and he was around. But all in all, it was the same thing with Carey as it was with Ricky. He had a family and a lot of other things going on. So, in the end, it was Kyle Bentley, Oscar Wirdeman, the KYB guys and me at RCH in 2016. It was this very small group of people who made it happen. Ken when he was a youngster in the 250 GP series on the Teka Suzuki. UP UNTIL YOUR MOVE TO RCH SUZUKI, YOUR DAD WAS HELPING YOU. WHY DID HE LEAVE? I was just growing up. You know how it is. You get to be 18, 19, 20 and 21 years old. We were living under the same roof 24/7/365. Eventually, it was just too much. I decided that we needed to part ways for a little bit. I did not really see us moving forward and getting any better. We both needed to reset our lives, so that was pretty much that. AFTER WINNING THE 2016 AMA 450 CHAMPIONSHIP FOR SUZUKI, YOU LEFT THEM FOR HONDA AND HAD A HIGH-PROFILE BREAK-UP WITH TRAINER ALDON BAKER. WAS IT A NEW START? As for Aldon, I did not like his training program. Plain and simple, I did not like being controlled and being babied. Aldon and I have completely different personalities. I just disagreed with a lot of things that he did, and in the end that led me to leave. I didn’t want to keep following his program and being miserable. I do not regret my decision. I did not think Aldon was meant for me. I hear that things have changed over there recently and that it is more doable now. But, I don’t really care. Coming into 2017, I was the strongest I have ever been. Unfortunately, I got plagued with injuries. Now I’m just trying to come back. Honestly, I cannot wait for the 2019 season. HONDA HAS A REPUTATION OF BEING SUPER CORPORATE. YOU, ON THE OTHER HAND, ARE MORE CAREFREE. DO YOU FEEL STIFLED AT HONDA? Here is the thing; I simply say what everybody else is thinking. Sometimes that makes me the bad guy, but I don’t really care. I heard the same things about Honda before I went there, but that is not my experience. I feel that they are super easygoing. I really enjoyed being around everything, and having said that, I think when a team hires somebody, they kind of know what they get, you know? DO YOU FEEL A LOT OF PRESSURE AT TEAM HONDA? As you get better, you get bigger contracts. That definitely comes with the fact that I can’t be a slouch. I can’t slack off, nor do I want to. I can’t just do my job and get by. Honda really wants to do something! They want to get wins and championships, and so do I. We are committed to each other. Unfortunately, I have had a bunch of bad injuries, but I feel like we are back on track and moving forward. I am never ever going to give up. I still believe that we will be back chasing championships. That is what Honda wants, and that is what I want. IT ALWAYS SEEMS ODD THAT A TEAM HIRES A RIDER AND THEN IMMEDIATELY TRIES TO CHANGE HIM INTO A CORPORATE PLAYER. They cannot change me that much. I feel like when you hire me, I come with my personality and that is it. I am a big believer in having balance in life. Racing dirt bikes is what I do, but it is not who I am or who I plan to be after I retire. That will be a different life. I love hanging out with friends. I love hanging out with family. I love doing other things in life besides racing. YOU SEEM TO UNDERSTAND THAT THE COMMON PRACTICE OF READING SPONSORS’ NAMES OFF A PIT BOARD IS A WASTE OF TIME. I think the whole pit board thing that some teams do is so dumb. It is not necessary to read from a script. Let him talk. Yes, we are getting paid by sponsors, but putting all the sponsors names on a pit board and holding it up for them to read isn’t as good as speaking from your heart. 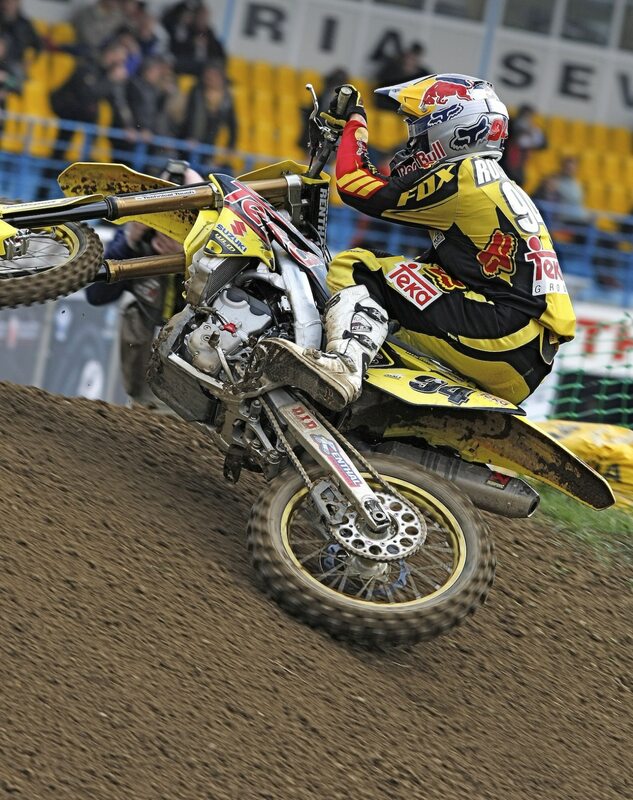 DO YOU FOLLOW THE FIM WORLD MOTOCROSS CHAMPIONSHIP? AFTER ALL, YOU WERE THE 2011 WORLD CHAMPION. I follow it a little. 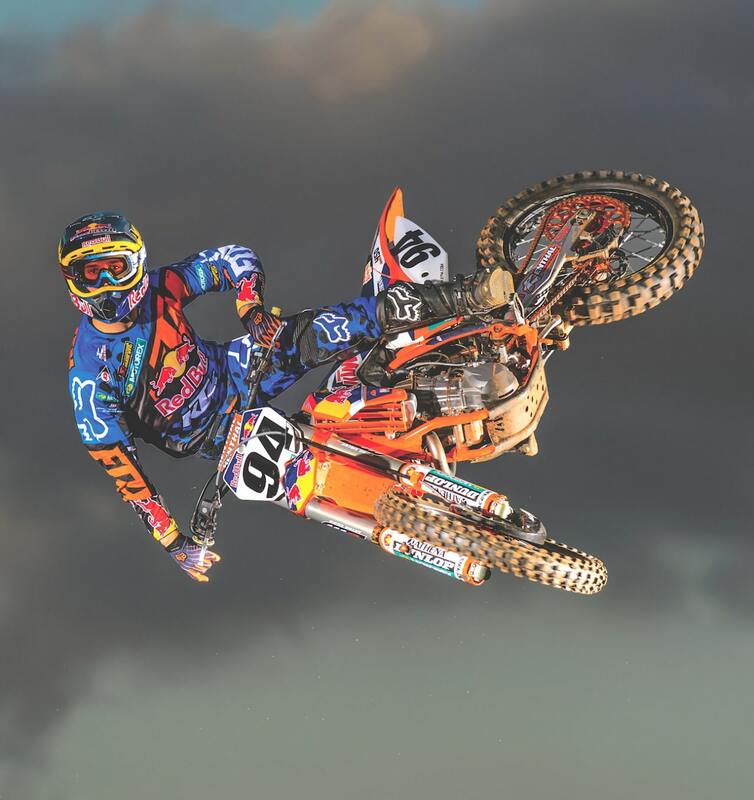 I think that Tony Cairoli rode the best he has ever ridden in 2018, but Jeffrey Herlings is on another level. I don’t watch all the races all the time, but it was an interesting season. WAS THERE ANY KIND OF SILVER LINING TO YOUR 2017 ARM INJURY? Absolutely. That was the first time that I have ever been away from motocross for that long. Honestly, it was refreshing to not always be on the go, always training and always testing. Now I appreciate the little things so much more after going through the dark times with this arm. 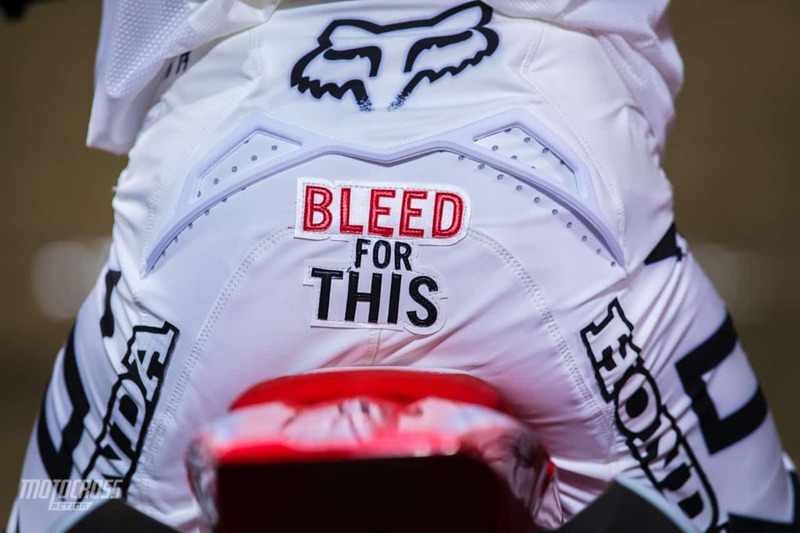 DID IT GIVE YOU A FRESH VIEW ON MOTOCROSS? How can I best put it in words? I stopped caring about how well I am going to ride, because in the end, when you do all of the work, you should go out there and have fun. When you are prepared, there is not that much that can go wrong. Since my injury, I don’t doubt myself anymore. I appreciate being happy and being able to enjoy the sport of motocross. During the 2018 AMA Nationals, I was having fun—and that is when my good results came. AFTER SUFFERING SUCH A CATASTROPHIC INJURY, WAS IT HARD TO SEE THE LIGHT AT THE END OF THE TUNNEL? There was some negativity, because I feel that it is three times harder to get back the fitness that you lost while being on the sidelines. I sat on the couch for a long time. Taking that much time off and then restarting the training was very difficult. I was so far down after months and months of not riding, but I knew that I would have to get back on the track. The realization that you are not going to do it in one day is daunting. ON A VERY POSITIVE NOTE, YOU FOUND LOVE DURING THE BAD TIMES. Yes, I have found the one, which I never thought I would. I was not against marriage, but in Germany, nobody really gets married anymore. My parents were not married, and it was just something that I never really wanted to do—until I found Courtney. She, together with my dog, has been the biggest positive through this whole process. When you only have one arm, there is a lot of stuff you can’t do for yourself. Courtney was there when nobody else was. I thank her for keeping me positive. 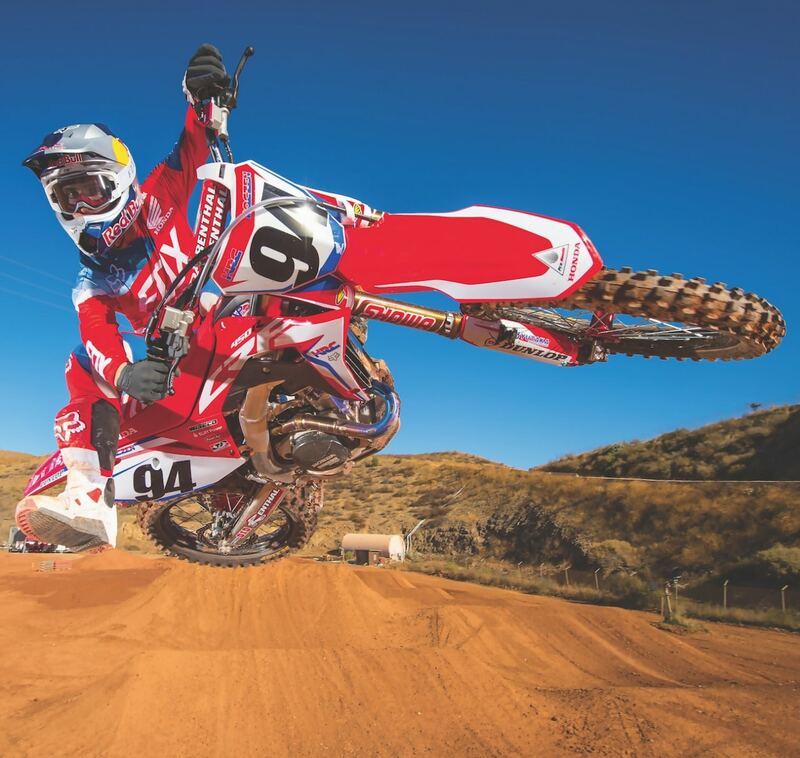 HOW COOL IS IT THAT HONDA CAME OUT WITH A KEN ROCZEN REPLICA CRF450 WORKS EDITION? It is awesome. It is the first time that Honda has ever done something like that, so I am super thankful, and I think it is great. I really, really, really hope—and it is my biggest wish—to put the red bike in the number-one spot next year. DO YOU HAVE PLANS TO RETURN TO GERMANY? I am going to become a U.S. citizen, and since Germany does not allow dual citizenship, I will become an American.